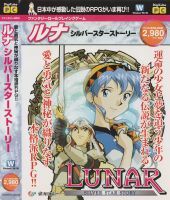 Silver Star Story had a completely new soundtrack (in fact, not a single song from the original TSS was repeated or remixed for the SSS remake (with the exception of a few seconds in three animation sequences of the US version). The US version also came with a soundtrack, although the soundtrack featured music from SSS and remastered music from the original TSS. Unfortunately, there is no easy way to take audio directly from the game, so our selection is more limited. We do have all the music on the soundtrack that came with the US version (most of which are remastered MP3s). We also have all the in-game music for the Japanese PC version (which, oddly, are nearly all in MIDI format). But, you should definitely check out the soundtracks section for more music that was included on the separate soundtracks for SSS and more. Most music tracks in SSS were composed by Noriyuki Iwadare with additional sound work by Isao Mizoguchi. The vocal tracks were sung by Kyoko Hikami for the Japanese version, and by Jennifer Stigile for the US version. The Korean version also used the English versions of the vocal tracks. The US packaged soundtrack includes 8 songs that are only in the Sega CD version (all marked '(Sega CD)' here). Check the TSS section for a complete set of the music from the original version of the game. The PC version used MIDI format for all in-game music, with only one exception. The track titles here are based on the US version. 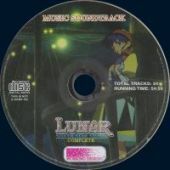 The track numbering is based on the file list in the PC version (which is why there is no track 25, 28, 29, 50, or 53, and why there are four tracks marked as unlisted).